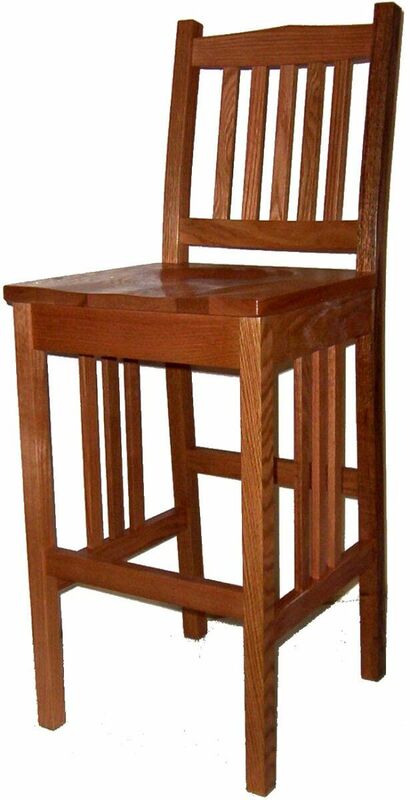 Our Amish Carbondale Mission Pub Chair is a charming, simple statement of superior Mission style. 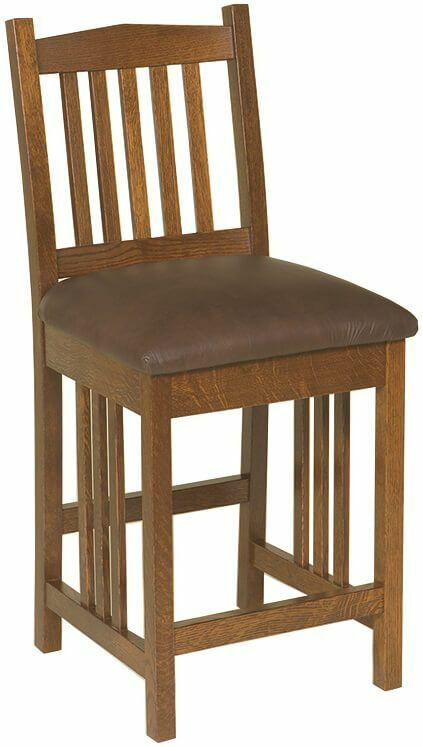 This bar chair is pictured in solid American Oak. The Carbondale Mission Pub Chair's wooden back and side slats are held tight thanks to our signature mortise and tenon joinery, and the chair's legs are screwed and glued to withstand a lifetime of use. Before it's shipped to your door, each bar chair is then finished with a kitchen cabinet-grade catalyst finish to ensure many years of memories. Let Countryside deliver Carbondale Mission Pub Chairs to your home or place of business in any wood and stain combination you desire. 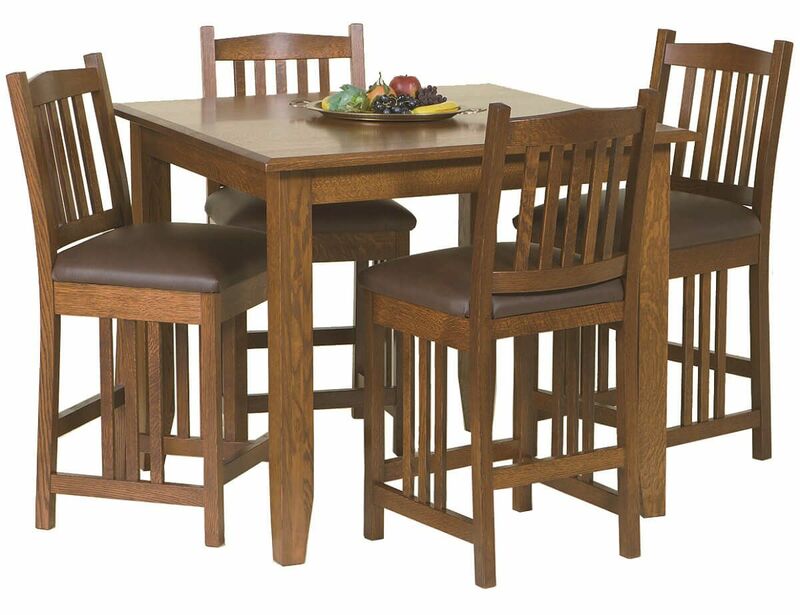 Each chair promises solid hardwood construction and a hand-rubbed wood finish.